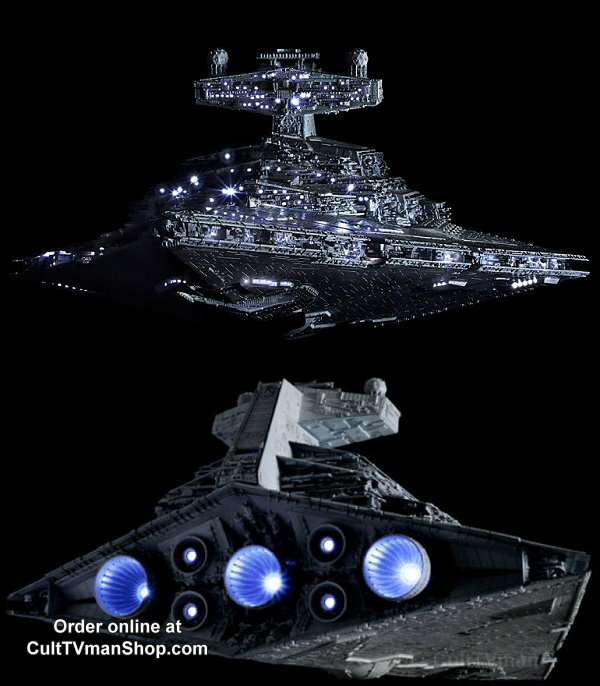 This is a special lighted edition of the 1:5000 Star Destroyer from Bandai. This version of the kit comes with LED engine lights and a special lighting booklet. Kit measures almost 13 inches when built. Includes Falcon and Blockade Runner in scale.